Performance with three performers, myself, a ventriloquist and a young female assistant. 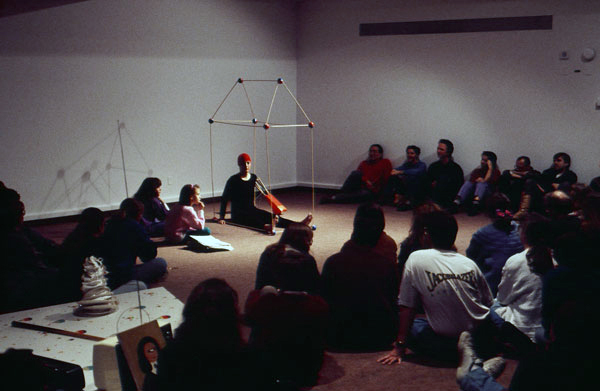 The performance includes a prepared text on newsprint presented by the assistant and read by the ventriloquist. 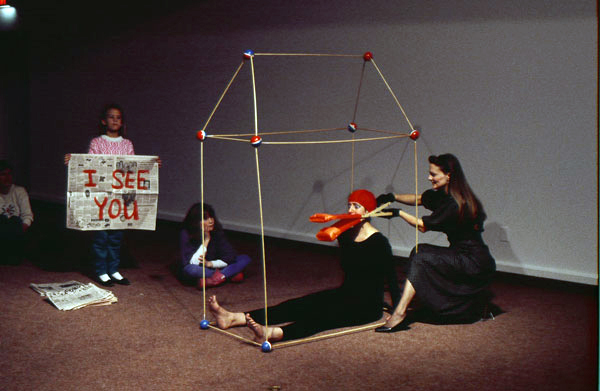 The performer, myself, is sitting in a stick-like house frame structure, on her eyelids are painted eyes and a large scissor frame representing lips. The performance is approximately fifteen minutes in length. The video shown here is a shorter version of the original documentation.